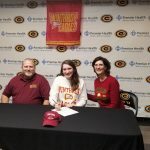 Senior track and field and volleyball student-athlete Libby Roush signed her National Letter of Intent this afternoon to continue her academic and athletic career next year at Winthrop University in Rock Hill, South Carolina. 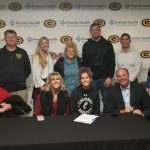 Libby will throw for the track team and be an outstanding addition to the Eagles. 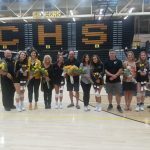 The varsity girls volleyball team opened up postseason play here at CHS on Saturday afternoon against the West Carrollton Pirates. The Elks came out strong and stayed that way throughout the match in handing the Pirates a 3-0 setback. The Elks won the first set, 25-8, the second set, 25-5 and the third set, 25-8. 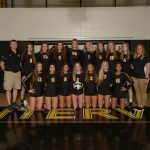 The varsity volleyball team traveled to Alter High School on Saturday to renew what has become one of the best rivalries in the greater Dayton area. The Knights are traditionally a perennial Division II state power and the Elks are among the top Division I teams in the area and this year was no different.